The Maytag Ensignia is a washing machine with variable wash, rinse and water levels, as well as automatic temperature control, wrinkle control and a separate delicate cycle. The machine is available for purchase in many department or appliance stores, as well as online, and should operate with few problems as long as standard care and maintenance routines are followed. However, if individuals do experience problems with the washing machine, some troubleshooting methods can prove useful in resolving the issue. Verify that the Maytag washer is plugged into a working power outlet if the washer won't turn on or function. Reset the circuit breaker or replace the fuse if necessary. Turn both hot and cold water faucets, located in the rear of the machine, on completely if the water is not filling. Clean the screens in the hoses, tighten the connections and make sure the hoses are straight. 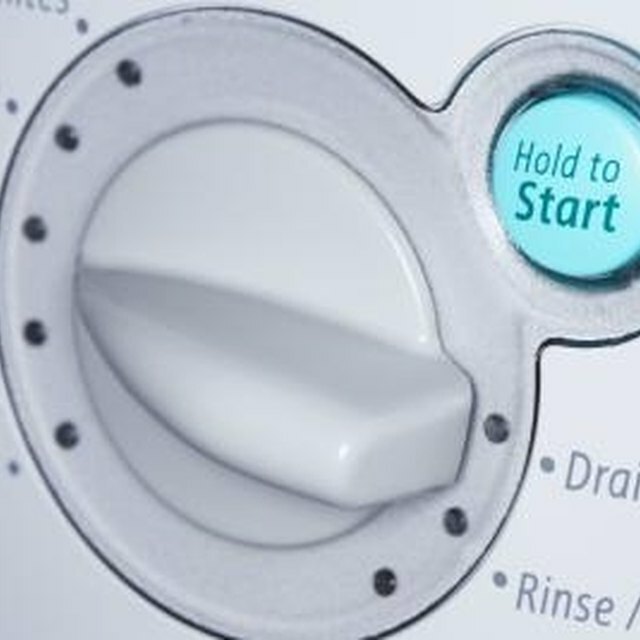 Turn the control dial to point at a wash cycle and pull out firmly to start the washing machine if the washer is not starting as expected. Ensure the lid is closed completely. Move items around the tub and even out the load size if items are extremely wet after the wash completes. Clean the drain hose screen, straighten the drain hose, and move the drain hose, if secured, more than 8 feet above ground. Secure the hose connections if water is leaking from the unit, and remove items if the load size is too large. Add a 3/4-inch piece of plywood under the washing machine if the floor is weak and the machine is vibrating a lot during use. Tighten the washer feet. Verify the temperature selection on the washer if the water temperature seems incorrect. Wait a few minutes, as the water may initially be cold when entering the washer but will warm up. Contact Maytag for assistance if necessary.